I’ve never really been a fan of studio shoots, except if I’m styling or modeling for a brand. However, I’m currently digging this shoot and the second one (shh, wait for it), thanks to the team of amazing individuals that put in efforts to make this turn out great. See also: Wardrobe Hack | How To Wear 1 Shoe in 3 Different Ways. • Bomber jacket; They are essentially meant for warmth, but who I absolutely love that badass look and feeling that bomber jackets adds to an outfit, who doesn’t? It’s so sad that we can wear our bomber jackets out in Nigeria only in the extremely cold weather during the harmattan and probably rainy season too. • The color “Tawny port”; As seen in the pantone’s color chart for Fall 2017-2018, this color described as “Tawny port”is one of the colors for Fall 2017-18. 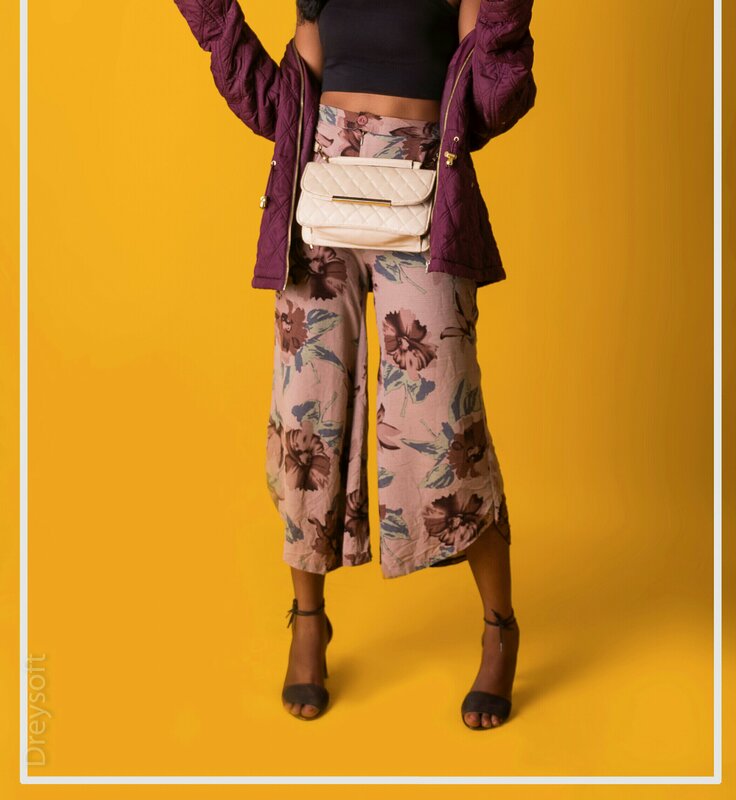 ​​• Waist bag; Alongside fannypacks, waistbags are one the in thing right now. Check my next post on trendimg accessories for more. This is actually a regular bag I wore as a waist bag, I was able to achieve that by adjusting the strap and fitting it to my waist, it is the same bag in this post. • Wide-leg pants; Personally, I think wide leg pants are a combination of comfort and style. 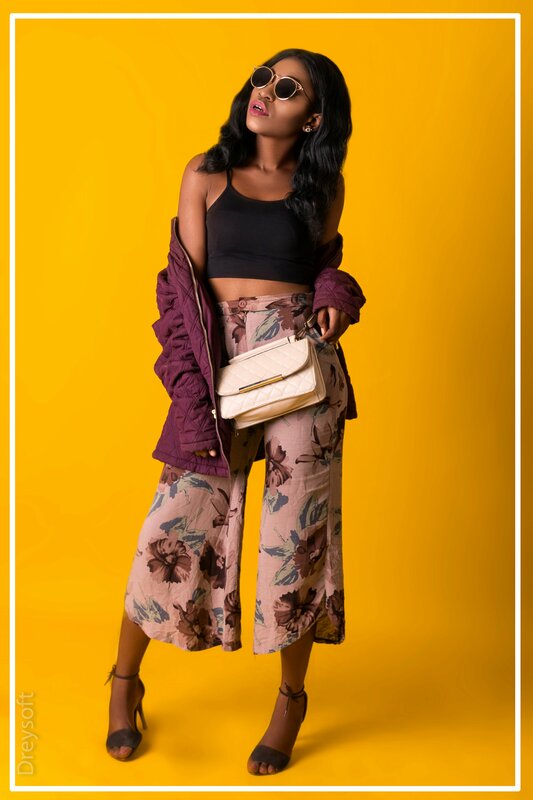 Skinny pants (and I’m not talking about jean) took over the fashion space for a while but wide leg pants are coming back with a bang these days, and this cropped wide leg pants is one of my favorite pants right now because of the style and comfort it gives. • Florals; Florals are synonymous but not limited to summer, you can as well rock florals during fall. However, unlike the bright florals for summer, fall florals are mostly dark and vintage inspired. 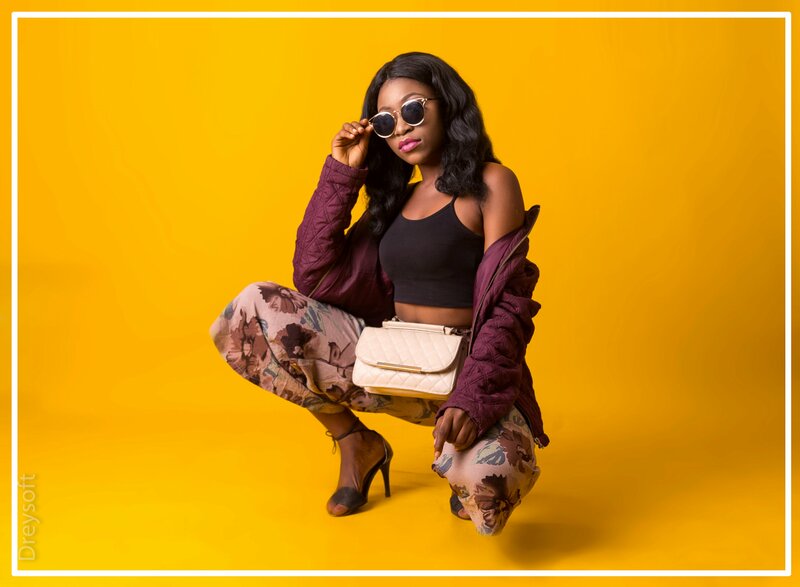 My next post would entail a couple of accessories trending right now that you might absolutely love, you shouldn’t miss out on it. Ps: If you need help with fashion styling for a photoshoot or videoshoot, either as a brand or an individual, feel free to holla at reach me. Plus, I’m doing it for free for designated period of time so you might want to take advantage of that. Also, If you need someone to model for your brand, your girl is totally available so don’t hesitate. Ps: Do you think I should continue with the studio shoots or stick to outdoor shoots? Your opinion would be highhighly appreciated. What do you think about this outfit and how I styled it, would you rock this or pass? Do share your thoughts in the comment section. This is such a great fanny pack! Thank you Fola, I’m glad you love it. Hey girl i’m glad you’re back, don’t run off on us again. Anddd you look stunning! I will consider the male styling, thank you for sharing your opinion concerning the type of photo shoot I should go for. Yeah Thank God it’s free, lol. Thanks leaving a comment dear. That is really fascinating, You are an excessively skilled blogger. I have joined your feed and look forward to looking for more of your magnificent post. Additionally, I’ve shared your website in my social networks!